Weave Magazine: Weave Magazine Release Party! 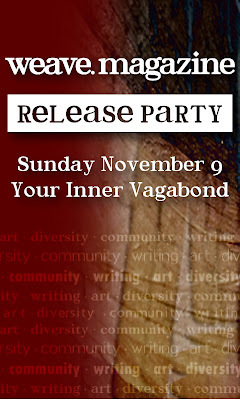 Weave Magazine is pleased to invite you to an evening of poetry and music to celebrate the release of our inaugural issue hosted by Your Inner Vagabond Coffeehouse & World Lounge on November 9th, 2008 beginning at 5:00pm. The event should be a splendid evening (especially if YOU are there!) and will include poetry readings from the first issue, silent auction, musical performances and the sale of works by local artists. The event is free and open to the public. 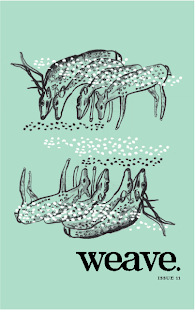 The first issue of Weave Magazine will also be for sale.